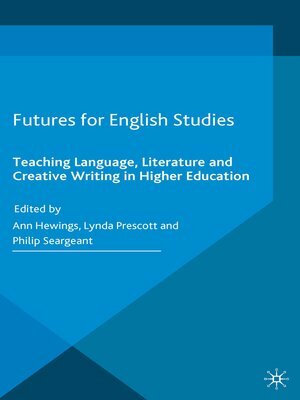 Futures for English Studies brings together chapters by leading writers across the curriculum area of English to investigate how the component parts of English (literature, language, and creative writing) are located institutionally in higher education and to explore the interdisciplinary prospects of a subject which spans the humanities and social sciences. Through explorations of changing foci in a variety of contexts, the book examines the value and purpose of teaching and researching English language, literature and creative writing in the twenty-first century, both within Anglophone countries and the wider world. The contributors, all practicing educators and researchers in the field, bring a wide range of perspectives to the theme of the development of the discipline, and illustrate that the strengths of English Studies as an academic subject lie not only in its traditional breadth and depth, but also in a readiness to adapt, experiment, and engage with other subjects.